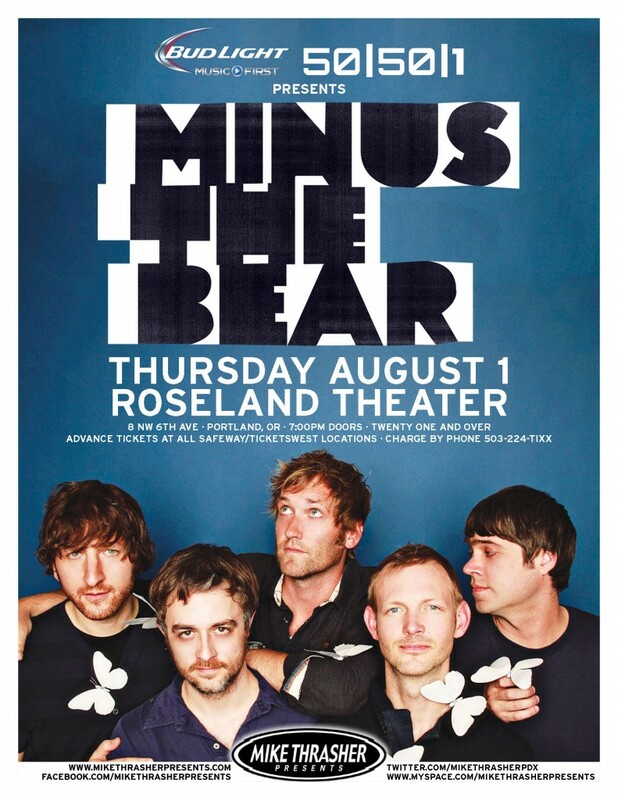 Notes: Thursday, August 1, 2013 at Roseland Theater	Minus the Bear Hustle and Drone Themes Thursday, August 1, 2013 Roseland Theater 503-224-2038 8 NW 6th Ave, Portland, OR (MapQuest) 8pm (doors open at 7pm). 21 & Over. $16.00 advance tix from TicketsWest. $20.00 at the door.